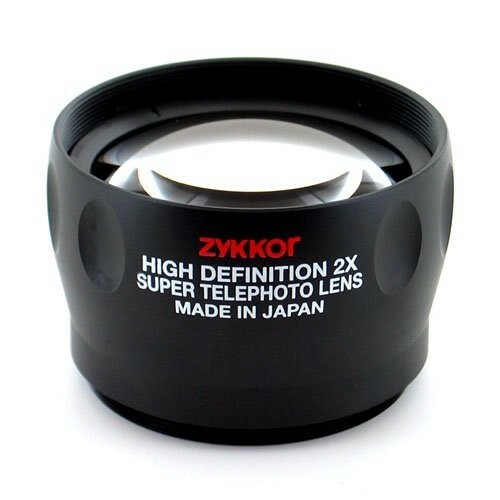 This 2.0x High Definition Super Telephoto Lens fits right over your camera existing lens system and get your subject TWICE CLOSER, allowing you to get better view of distant landscape details, instantly get close to the animals without alerting them. However image magnification is not the sole purpose of telephoto lenses. 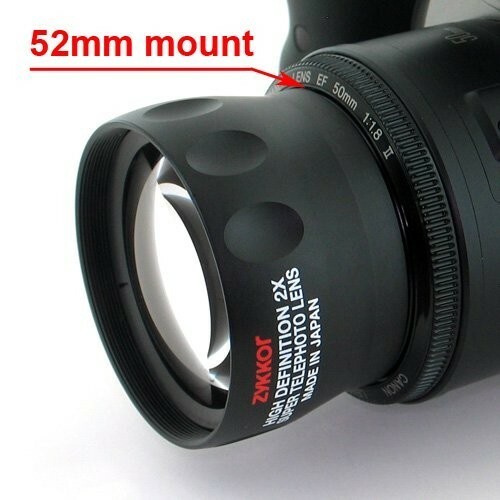 Their inherent shallow depth of field makes them useful in eliminating unwanted foreground and background objects by simply throwing them out of focus. Also, their foreshortening characteristic can make portraits look much more pleasant and natural, and can visually compress distant objects so they don't look so far away. The setting sun, for example, can seem so much larger and closer when photographed through a telephoto lens.